Accutome recommends the Opti-Kleen blade cleaning system for the care and cleaning of diamond knives. This is an efficient and safe method for cleaning tissue and other debris from the surfaces of diamond knife blades prior to sterilization. 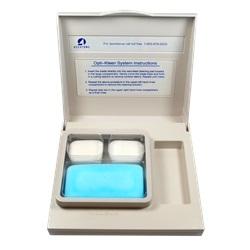 The Opti-Kleen blade cleaning system comes with 12 individual disposable trays per dispenser box. A holding tray with cover can also be purchased to cradle the cleaning system trays. 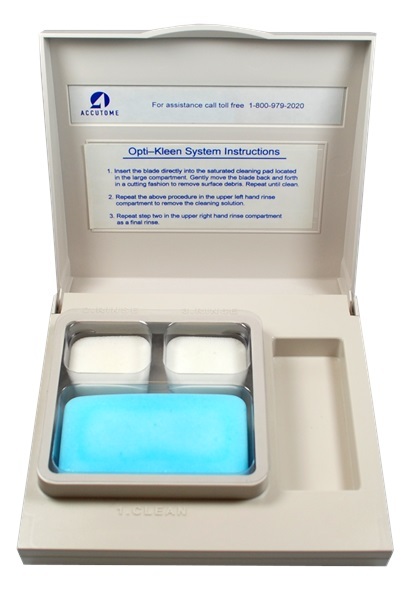 The Opti-Kleen blade cleaning system can be used throughout the day for both diamond knives and delicate instruments. Each new instrument should be cleaned in an area of the pad that has not already been used. Plastic holder for disposable cleaning system trays. 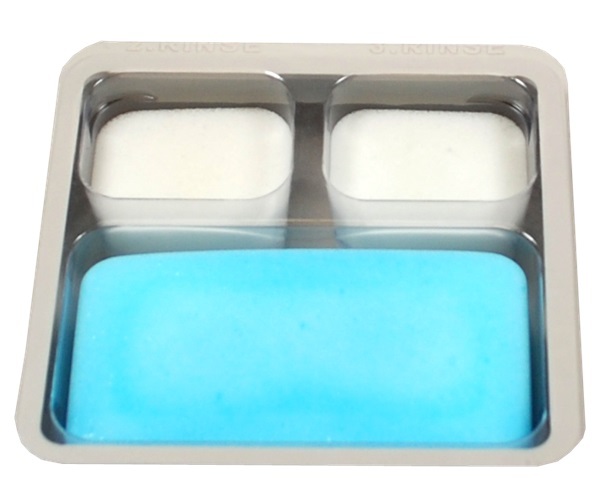 Each tray has three cleaning sections: a scrubbing section and two rinse sections. Sold 12 individual trays per box. Does not include plastic holder.